It's pouring! 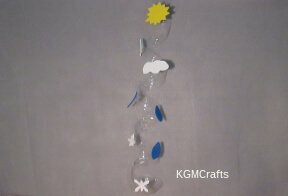 So come in from puddle stomping and make spring crafts for kids. 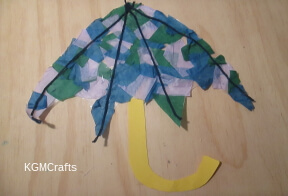 With these fun and easy projects, your child will never say the rain is boring. And you will stay dry. Oh no! Here comes the creepy crawlers! The icky squishy bugs who want to eat anything green in the garden. Quick! Let's keep the kids inside before they start looking for the nasty things! Let's get them crafting! Well, not all bugs are bad. Some are actually quite good. Some are even pretty to look at. 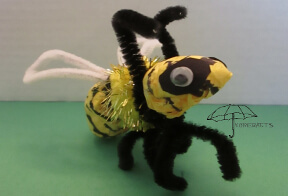 While crafting you can teach your child about the life cycle of insects. 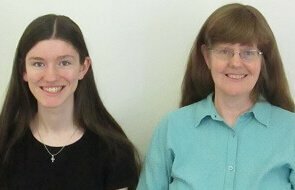 They can make bees and caterpillars and other things too. These bugs will not annoy you. So your kids don't like bugs. 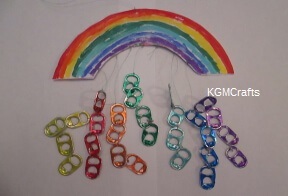 Well, there are other spring crafts for kids that you can do. 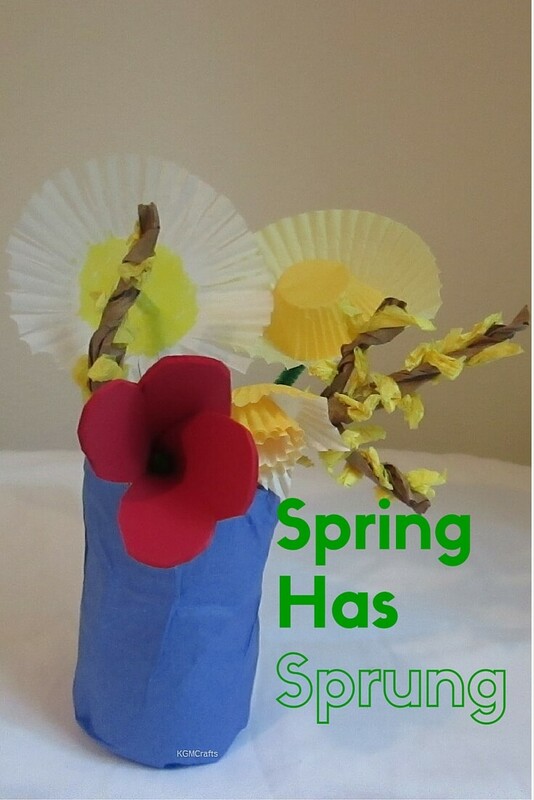 Make some flowers to brighten your home or make a rainbow to remember the promise of sunshine. Make the rain go away with this colorful umbrella for your window. To make your umbrella pattern fold the white paper in half. 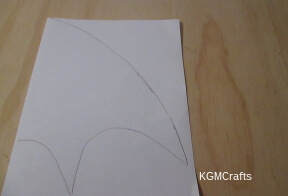 Draw a curved line from the top of the fold to the cut edge. 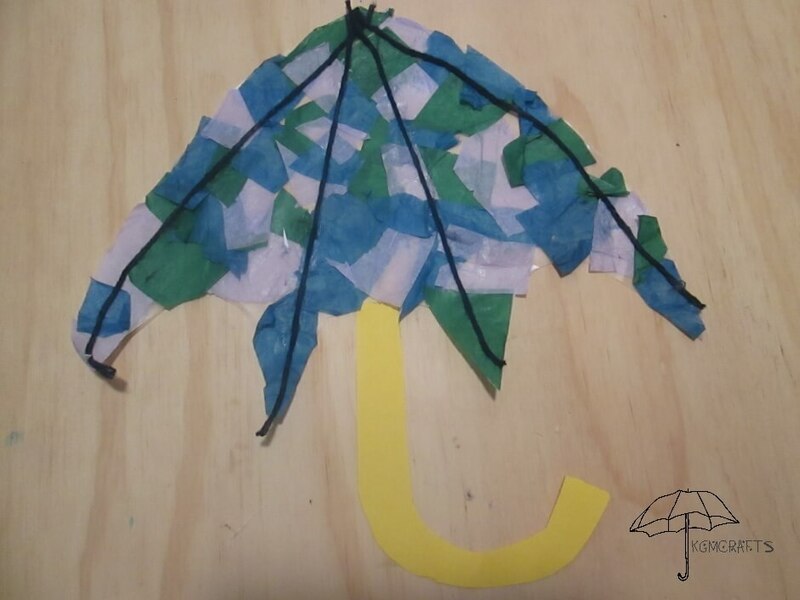 Then draw a "w" shape for the bottom of the umbrella. 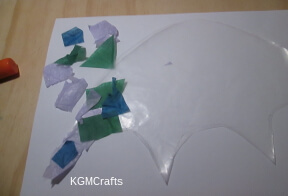 Use the paper pattern to cut out the shape from wax paper. 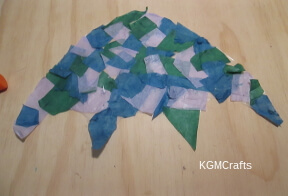 Cut or rip small pieces of tissue paper. 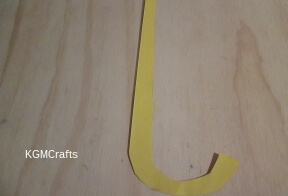 With a glue stick glue the pieces on the wax paper. .
Cut a "J" shape from construction paper 10 inches long. With yarn measure from the top center to the points at the bottom. Cut a piece of yarn for each point. With glue (I used a glue stick) glue the yarn from the center to a point. Repeat three more times. Glue the "J" on the back of the umbrella. Roses are red, daisies are white, chrysanthemums are sometimes yellow. Making flowers are so much fun. So let's make one for grandma, mom, and all our loved ones. 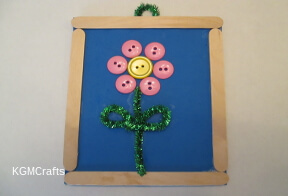 There are lots of different flowers for you to make here. Bees and ants work hard all day. Butterflies are many colors. Ladybugs are red with black spots. You won't find yourself bugged with these creations. You will find all of your favorite bug crafts here. It's raining, it's pouring, let's go and make something wet and pretty. Then let's watch while it dries and as it comes alive! 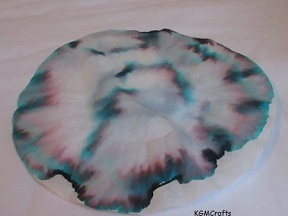 Use water to make these crafts. The rain has stopped, look a rainbow! Let's remember God's promise by capturing all the beautiful colors. They are fun to make too! Spring seems to be a time of weather change. Snow, wind, rain or sun. 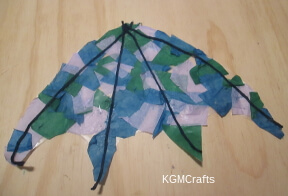 But no matter what the weather there are fun crafts for kids to do. It is raining too hard to play outside. Let's make some crafts inside today. 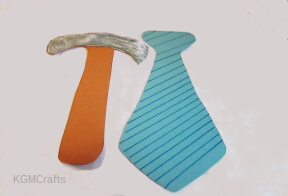 You can make a lot of crafts with supplies such as paper, glue, pipe cleaners and such. 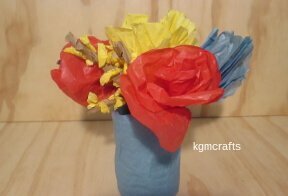 But you can make your creations more interesting when you use some recyclables. Earth Day is just around the corner. 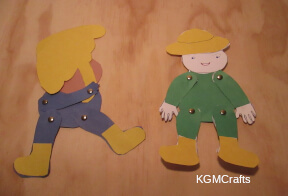 You can teach your child about reduce, reuse, and recycle by crafting. You won't want to keep a lot of any one item. Just an item or two. You don't want to build another room onto your house just for storing craft supplies, do you? 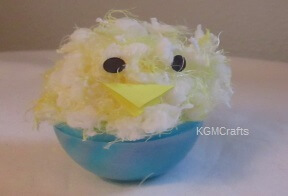 Making spring crafts for kids is so much fun! You can almost go dancing in the rain now! Wait! You might want to leave the crafts inside first.